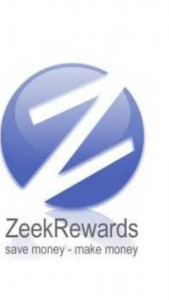 What WAS Zeek Rewards All About? Zeek Rewards, was an “Affiliate Program” (Ahem. A Ponzi Scheme.) that allowed members to earn rewards thru different programs including the purchase of unique securities/investments. But the site since then, was forced to shut down, due to legal and ethical issues that have never been resolved. After the shutdown, there were lots of bad responses due to the fact that there were hundreds, if not thousands of affiliates promoting this “Ponzi Scheme.” Sadly, a lot of them had already invested quite a bit of cash; hard-earned cash they will never see again. If you’ve read enough – take a look at my #1 Recommendation and learn how to stay away from online scams. This program, called Zeek Rewards, was very popular when it was around, as it was in the Top 100 websites in the world, in the midst of 2012. But Ponzi scams don’t last long and eventually this one came to a sudden crash! The Founder of the company Mr.Burks, was able to draw nearly $11 million from the company, during its 20 month run. Shortly later, he was required to give up his Texas company, Clifton Jolley, plus all the assets. Mr.Burks was then forced by the Security Exchange Commission, to pay another hefty penalty of $4 million – the biggest Internet Ponzi scheme to date! There’s nothing good to say! The site is currently shut down, and the owners are being investigated by the SEC for FRAUD! Zeek Rewards No Longer Exists! First, before Zeek Rewards was shut down, it was made up of two parts. One was for affiliate advertising, and the other was the penny auction website, Zeekler.com. Now Zeek Rewards was at a time, a program where you would pay in at a certain level. Then you would make money by getting others to sign up under you and convincing them to do the same. The profits that were all made were then sent up the line to be dispersed to the people below. It was just a well organized pyramid scheme, that fooled a huge group of people into purchasing the next greatest product basically. But the “Bigger Issue” was that countless folks who became a part of Zeek Rewards, didn’t fully understand how the system operated. Nor did anyone really question the types of various securities that were being sold. So, the owner of Zeek Rewards was able to take advantage of this, building a huge amount of success in the process! What Happened to The Top Earners? 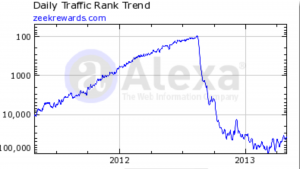 When Zeek Rewards was shut down, there was a huge ripple effect in the online world! There were people out there who had invested their entire savings and businesses around the Zeek Rewards business model. So instead of the people leaving the business alone, they decided to keep promoting it and stay involved, feeling like the ending of it all was too good to be true! But when it finally started to sink in for most members that the Security and Exchange Commission was really shutting down Zeek Rewards for good, people quickly started to move on to other online programs. 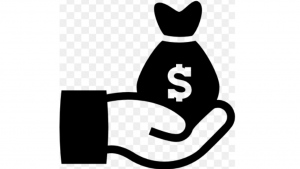 Unfortunately (or fortunately) some members have found new Ponzi Schemes like this one, since they think Ponzi Schemes are where the best money is. I do not believe in Ponzi Schemes nor do I recommend them. To stay away form scams, keep up to date with my legit and real work online opportunity reviews. When doing research online about a new online work opportunity, and the first thing you see is a notice from the Security and Exchange Commission, saying the program was shut down, this tells you the company is offline due to a legal issue. Needless to say, this is a huge red flag. That said, it was August 17, 2012, the Zeek Rewards Shutdown became official. The allegations of running a pyramid scheme was now proven by the Security and Exchange Commissions. Paul Burks and the Rex Venture Group, were brought up on multiple fraud charges. Working online is now a safer place to be, thanks to the actions that the SEC have made against Zeek Rewards! This shutdown actually made a lot of future Ponzi Scheme programs think twice before opening up shop. Why? Because Ponzi Schemes are ILLEGAL! Do you have something to say about Zeek Rewards? Maybe Something to add? If you do, please take the time and leave your comment at the bottom. I would love to hear it! Thanks for reading my post, and good luck with your success! Traffic Swarm Review – What Is It? Yeaaaa, I’m always glad to read reviews about online businesses that scam people and get shut down for good. I hope the people from Security and Exchange Commission do this more often. I’m assuming the owners are now spending their days in jail and the keys thrown away. Unbelievable stealing that much money from unsuspecting people. So sad, these people who scam have no remorse at all. I’m really glad you wrote this article because now I know these online scammers are really being caught. Thanks for this great review and keep them coming. No problem Monica my pleasure. More informative post to come soon. Good luck with your success. Take care..